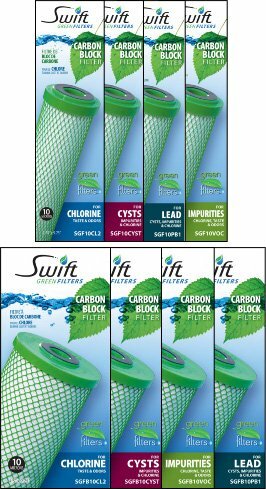 Swift Green Carbon Filters are manufactured in Canada from high performance coconut shell carbon using an environmentally friendly process. 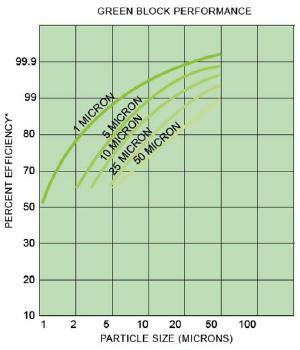 These green block water filters are high-performance, cost effective original manufacturer replacement filters compatible with most major system brands. A full line of replacement filters is offered to meet your home and workplace filtration needs. 10 4 1/2" x 9 3/4"
1 4 1/2" x 9 3/4"